The courts, courtyards of the Buda Castle are open day and night, 24/7. On special days, when festivals take place on the Buda Castle courts, the courts are fenced off, and you will need to buy a festival entry to be able to get access to the castle and its attractions. As the festivals are some of the best in Budapest, and well worth the entry fee, you will not be disappointed. Oftentimes the festival ticket includes free entrance to the buildings of the Buda Castle. Currently the Royal Palace (aka the Buda Castle) is the home of the National Gallery and the Budapest History Museum, therefore, the opening hours of the buildings of the Buda Castle is identical with the opening hours of the Gallery and the Museum (as well as the less known Hungarian National Library, which also often features exhibitions). Similarly to the Royal Palace, the Buda Castle district itself is open all day and night, at least regarding its streets, courts, and even some of its attractions, like the Fisherman’s Bastion, which is the finest lookout tower (a fairy tale tower complex) in the Buda Castle district. The Buda Castle hilltop, which is called the Buda Castle district makes a nice and romantic Budapest attraction for late night or early dawn walks too. That being said, most of the castle attractions close at 6 or 8 pm, some of the restaurants and bars stay open until around 11 pm or midnight, and then the castle goes calm and quiet. Indeed, the parties and noisy nightlife of the city of Budapest takes place on the Pest side, while the Buda side, including the Buda Castle district, gets quiet and peaceful. I have a very important question, we’re a group of students from Poland (45 persons), we study tourism and we will organize a bus trip of Europe ( this is a students practice). In Budapest we will be 23th June (only one day) unfortunately, it’s Monday. We’d like to visit Budapest History Museum, is it possible? This is the main point of the program. We care so much about this musuem. Thank you for visiting Budapest, Hungary! Have a fabulous time! I direct the choir of Trinity College Oxford. We are touring Budapest between June30th-July6th. Is there an email address that I can contact to enquire about performing a recital in the castle’s chapel? Dear Benjamin, thank you for your choir concert inquiry in the Buda Castle district of Budapest. We have sent you a list of contacts and detailed information about potential venues for a beautiful concert in the city. Have a great time in Hungary! you can buy tickets to enter the Buda Castle at the door: the castle is the home of various museums and institutions each with their own entries (National Gallery, History Museum, Szechenyi Library). To enter the Buda Castle district you do not need a ticket: simply you can walk about the buildings and the castle court free of charge. Pls how can we buy online tickets for the budapest history museum in the buda castle? How can I by tickets for Buda Castle and Royal Palace? you can buy tickets to the Buda Castle at the building itself: the castle is the home of various museums and institutions, and each has its own entry. To enter the Buda Castle district you do not need a ticket. It is free to walk about the buildings and the castle court. The Royal Palace is another name given to the Buda Castle. We plan to visit Budapest for Christmas 2014, could you please tell me if the museums will be open at this period? Are they any special events for Christmas? Could you please let me know what would be the opening hours for xmas? we aré going To Budapest on Christmas (dec 24/25) the castle is open on these days? We would like to visit the Buda Castle Easter Festival 2015 so can you please let me know how to buy tickets for this event? Many thanks. Dear Linda, you can buy the tickets for the 2015 Buda Castle Easter Festival at the Buda Castle. The Buda Castle and its buildings are open during the Easter holidays in 2015. But the admission is special as there is a big Budapest Easter Festival in the courts of the Buda Castle. This means that during the Easter Sunday and Easter Monday (also on Good Friday and Saturday), the museums and galleries are also open. You can visit the Budapest History Museum inside the Buda Castle with the festival ticket (included in the price). The festival tickets are valid for both days (Easter Sunday and Monday). Festival opening hours: 9 am – 8 pm (cashiers close at 6pm). The Hungarian National Gallery is also open during the Easter holiday (Friday – Monday) in the usual opening times, from 10 am to 5.45 pm. Could I please also ask, if a couple wanted photos taken when the sun is going down what kind of times would be perfect for these type of photos… i.e. sunset / evening / night appearance. Dear Shusma, the opening times of the Fisherman’s Bastion are open all times (Monday – Sunday, 0 am – midnight). The Bastion is never closed as it is an open lookout tower and terrace. There are some upper turrets that close for the night, but the lower parts remain open, regardless of times or weather conditions. The Buda Castle is open from Tuesday to Sunday, 10 am – 6pm. But you can visit the courtyards outside the opening times as the gates of the courts are not closed. Yes, please feel free to take photos of yourselves on the Fisherman’s Bastion stairs or at the Buda Castle. You do not need a photo permit for personal use if you take photos in the open air. However, inside the Buda Castle you need to have a photo permit for the exhibitions. Is the Buda Castle /national Museum open on Easter Sunday? we will be in Budapest Sat and Sunday what is the best day for the Easter Festival at Buda Castle ? Dear Brian, yes, the Buda Castle is open during the Easter holidays in 2015. But the admission is special as there is a big Budapest Easter Festival in the courts of the Buda Castle. This means that during the Easter Sunday and Easter Monday (also on Good Friday and Saturday), the museums and galleries are also open. You can visit the Budapest History Museum inside the Buda Castle with the festival ticket. The Hungarian National Gallery is also open during the Easter holiday (Friday – Monday) in the usual opening times, from 10 am to 5.45 pm. hello, could anyone please inform me the name of that wonderful lilac blooming three on the yard of the fisherman bastion? beautyful! Just to know if Friday 1st May the Castle is open, tks. What time does the Buda Castle Tour starts at? And where the group meets to begin the tour? Hi, we are 6 girls and we would like to buy the buda castle tickets. What is included in the tour? are there any discounts (we are 26 years old)? Do you have to pay for a tour to visit the Royal Palace? What are the entry fees for the museum and noational gallery please. Does anyone know at all when the Easter 2016 events will be announced in Budapest please? is it best to visit the castle over the Easter weekend 25TH March-28TH March 2016? There is only an option of sightseeing with guide for 25E (I am a student) or there are any other tickets, cheaper, when I can sightseeing by myself? Do we need to pay to enter the castle? the Spy Museum Buda Castle seemes to be closed. Is it possible to see the devices somewhere else? Can you give me the rates of entry for groups ( 45 to 72 pax) ? I would like to know if the Royal Palace and the Buda Castle District are opened on 24/25/26 December and their opening hours for that days. It’s imposible for me to get only the email to book entrances, date and time to Royal Palace. I know that the entrance is free but I would like to book the date and time. Tell me , please. I am organising a tour for a choir from the United States. They would love to perform somewhere near or in the Buda Castle. Is there any chance to do so? I am trying to book a Buda castle tour for March 6th for 4 people but your calendar only shows September 2015. IS there any other way of booking in advance or are tours not available for March 2016? 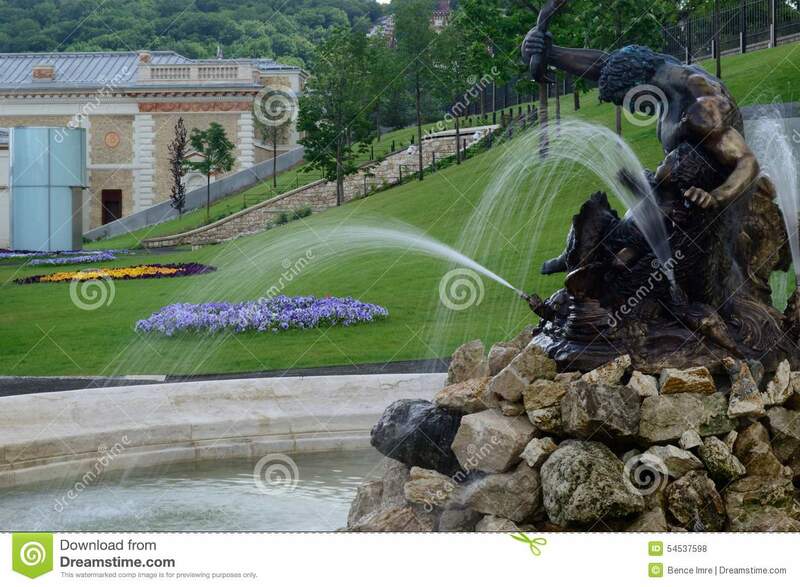 Unfortunately, we couldn’t find information on this fountain in internet. Where is it possible to find the name of the sculpture and maybe a history of creation? I would like to ask if the castle area is open on 1st May as it is a national Holiday. yes, the Buda Castle will be open as usual. you don’t need to book a tour to be able to enter and discover the Buda Castle. Please note that the entry is not free (unless you have a Budapest Card). can you visit the castle without a guided tour? do you need to book for just walking round the castle? How much at all does this cost? the Castle courtyards (the open air courts) are not only open for tourists any day of the year (except for festival days), but are also free to enter. If you wish to take a visit inside the buildings of the Buda Castle, however, you will need to buy a ticket to one of the exhibitions featured in the museum / gallery within the buildings of the Castle (ticket prices €6 – €7 for the various exhibitions). we have contacted you on your given email address regarding your booking. Now I have forwarded our message to your current address starting with let……, the original was sent to the email address starting with cbll…. Unfortunately you have chosen a date when no public tour is running, instead there are private tours. between june 24 or 25 I will attend a blind person to visit the Buda Castle of Budapest. I would like to know if he has any reduction in prices and what documents must show to have them. I look forward to your information. Dear Aldo, thank you for visiting the Buda Castle Hill and its attractions. The wings of the Buda Castle building are currently the home of the Budapest History Museum and the Hungarian National Gallery. People with disabilities and their companions (max 1 companion) are free to visit the Budapest History Museum. The History Museum has audio guides which blind visitors can listen to. Any photo ID proving the disability is accepted regardless of which country you are from. People with disabilities and their companions (max 1 companion) are free to visit the Hungarian National Gallery if they come from a country which is member of the European Economic Area (EEA) with its 30 states. The Gallery currently does not have interactive tangible objects unfortunately. Any photo ID proving the disability is accepted regardless of which country from the EEA and EU you are from. I am sorry if I am using this space for questioning this but I did not find a ‘Contact us’ tab to do so. I’m trying to book a tour but the mensage “Payment page is downloading. Please wait” keep displaying on my screen, not completing the transaction. What other alternative do I have for booking? Thank you in advance. we are sorry to hear that the booking function was temporarily not available. Could you please try it again? I think it is working properly now. Thank you for your patience. Do you have any discount for journalists ? unfortunately we cannot offer discount for media representatives. Thank you for your understanding. Please let me introduce myself, I’m Claudia, from F1 Latin America TV channel and I’m writing you because we would like to film in the Buda Castle on Thursday 21st of July due to the F1 Grand Prix taken place in your city. We are a 24h cannel with Formula1, Gp2, Gp3 and Porsche Super Cup and we also have our own programmes and every time we travel to a GP we prepare a 2-3 min length report in which we explain the main landmarks and points of interest of the area where the GP takes places, their significant museums, streets, restaurants, etc. We will just bring one camera with us, the reporter will be Jessika Fortunato and the cameraman Ignasi Martin. Do not hesitate to contact us if you require any further information. Looking forward to hearing from you as soon as possible. I’m going to visit Budapest from 28th to 31st August.I know that on Mondays museums are closed but I have read in other websites that the castle district is going to be closed during all August.Is this true? Or can we visit castle district and all the buildings without problem? there are some restrictions regarding parking in the Buda Castle District, but this does not affect the opening hours of the attractions. I’m going to visit Budapest from 16th to 19st August. I whant to by the City Tourism Card . The Buda walking tours with this card include Fisherman’s Bastion ( inside ) and Matthias Church ( inside ) ? Thanks in advance. The Budapest Card provides a 10% discount of the entry to the Fisherman’s Bastion. PLEASE I AM GOING TO VISIT BUDAPEST BETWEEN 22 AUG AND 24 AUG 2016, AND MY PLAN TO VISIT THE BUDA CASTLE ON TUE 23 AUG ( AS I UNDERSTAND ALL THE FACILITIES WILL BE OPEN FOR VISITORS) , AND I BOOK FOR BUDAPEST CARD ALSO , MY QUESTION IS : IS THERE ANY FEE I HAVE TO PAY FOR VISITING IN MY SITUATION ? AND WHAT ABOUT THE SEGWAY TOUR IS IT IN CHARGE OF FEE ? I have some questions regarding the Castle. My friends and I are planning to visit the district on the 21st of October 2016. We have 1 day to spend in Budapest and I believe visiting Buda Castle is a must. What time do you open and close the castle and how much is the ticket fees for adults without guide. Finally, is there a direct way to come to the castle with a car or using the funicular is the only way to reach the castle district? the Buda Castle is open Tue-Sun 10 am – 6 pm (closed on Mondays). Please guide me how to book tickets online for BUDA PALCE for 8 people . want to know your email id too. there are 2 facilities that you can visit inside the Royal Palace: The National Gallery and the History Museum. Unfortunately ticket to either of them cannot be booked online, only on the spot. Thank you for your understanding. I am visiting budapest and want to visit the Buda castle. I am there between 30th september to 2 of october 2016. Want to know the castle timings,and how to book tickets online for 8 people. want to visit the wine tasting in buda castle. Kindly inform me .DO YOU HAVE ANY EMAIL ID WHERE I CAN DROP MY QUERIES. I would like to know the opening hours of the Buda Castle in January 2017 (the first week). Is it opened every day? The courts, courtyards of the Buda Castle are open day and night, 24/7. I am visiting Budapest on the 24-26th of December. May I know if the National Gallery and Budapest History Museum will be opened during those days? And if so, their opening times? I would just like to know if the buda castle/museums and galleries are open in the easter holidays 2017 and do the prices of entry vary? HI, we are visiting Budapest in December 2017. I want to know if the funicular and the Royal Palace is open on the 24,25,26 and 27th of December. I made an online reservation for “Castle Tour & Funicular & Cruise”” for a group of 25 students (aged 18-21) and two teachers 1 1/2 months ago. The booking request was submitted, but I have nothing received via e-mail regarding whether the reservation has been accepted or not, and have written an email regarding this twice, but have not received any reply. Could you please confirm whether the booking is valid or not. We will soon send you our group offer via email. Thank you for your patience. Hello, me and my boyfriend, we are visiting Budapest from 18 March till 21 march 2017. How much is the ticket with guide? Is there italian guide? Book our Buda Castle District 2.5 h walking tour in all weather conditions and get a Guided Tour on Buda Castle courts, visit inside Matthias Church, visit at Fisherman’s Bastion and visit of Historical Squares with Coffee & Dessert at end, therefore you could avoid the long queues waiting to get tickets. Tickets for this tour are starting from EUR 34. Is Buda castle going to be open on Easter Sunday (16th Apr 2017). The sites of Buda Castle (such as the National Gallery, Matthias Church etc) will be open on 17 and 18 April, what is more, there will be special Eastern programmes too. Enjoy your visit to the famous Buda Castle district when visiting Budapest. I would just like to know what are the opening times for Easter? I am coming to Budapest during Easter and i’m worried that everything will be closed. Please reply as soon as possible because Easter is very soon! Thank you so much!! most of the museums are closed on Mondays, and they will be closed on Apr 17 as well. On other dates their opening hours are as usual. Hi. Do you have a manageable list of the various buildings and museums in Buda Castle with entrance fees for each place? Hi visited yesterday and lost cell phone. It is a Samsung S7 active green color. Has anybody turned in to lost and found. I am afraid, there is not any department for lost items in the Buda Castle. If you have lost your mobile in a particular building, museum etc, try to contact them directly. I am sorry I could not be of more help. Is there any public parking near the Castle District? If so, do you know approx. parking fee? Or is it better to go there by public transportation? My friend and I will stay at K9 Residence and plan to visit the castle on 27 Sep.
Hi there! We are visiting Budapest on 26 October and we are thinking of purchasing the Budapest Card. In this case, is entrance still free to the Royal Palace, the Gallery and the History museum? You are also entitled to a free entry to the permanent exhibitions in the National Gallery, the Budapest History Museum and the Hungarian National Museum. I’m writing a paper for my last year in highschool, which is about the architecture in Budapest. I read that the Buda castle was originally built in Gothic-style, and was wondering if there are still any original parts of this style visible. Will the castle be open between Christmas and New Years? There is nothing on the website to suggest otherwise but just wanting to check before we make plans! Buda Castle, and the Buda Castle District are open all year round. Hi! Are you open during Christmas on 24th and 25th of December? Buda Castle, and the Buda Castle District are open all year round. Museums in Buda Castle have their opening hours though. Here says that the courtyards are always open. I was just here, and a very rude man, said I can’t be there. All I wanted was to get some pictures. Buda Castle, and the Buda Castle District are open all year round. Maybe there was some private event? We will be in Budapest on the Monday, 23rd of October. Will the Royal Palace and the Castle District be open to visit that day? The Castle District is open 24/7, even on holidays. The National Gallery and the Budapest History Museum will be open on Oct 23, and entry will be free of charge to both museums. Hello, I am a student and i am just making a research about The Buda Castle , Can i have the number of daily Visitors to the Castle please. And if you can help me to find some documents about the Castle. Thanks in advance. Will the castle and museums be open on Easter Sunday and Easter Monday (April 1 & 2, 2018) ? Buda Castle is open every day, throughout the year, but the opening hours of the different museums may vary. For exact and update information, I would suggest to contact us again closer to the Easter holidays. Will the castle and museums be open on Easter Sunday and Easter Monday (04.01.2018 – 04.02.2018) ? I would like to visit the castle inside. the Hungarian National Gallery will be open on both Apr 1 and 2 (Sunday and Monday), but will be closed on Apr 3 (Tuesday). The Budapest History Museum will be open on Apr 1 (Sunday), but will be closed on Apr 2 (Monday). I would like to visit inside of the museum. I am afraid both museums inside the Castle building are closed on Mondays. Thank you for your understanding. Hi! Is the castle open tomorrow (30th March 2018)? if so, what are the opening hours? Buda Castle Area is open every day. The buildings of the Buda Castle are occupied by two museums (the National Gallery and the Budapest History Museum) and both are open. I have read on above comment that it’s allowable if we take photoshoot in an opening air space. (opening time 10.00am-5.00pm). One question to ask if we want to take photoshoot inside buda castle and fisherman bastion, is it possible, how about the permit and cost? There are many museums in Budapest, but you will have a free entry to Hungarian National Gallery, Budapest History Museum, Hungarian National Museum and many more. On August 20th, would the museum be open? The Budapest History Museum will be open and free to visit on this date. The Hungarian National Gallery will be closed, except the temporary Frida Kahlo exhibition. Are dogs allowed in the Castle premises? Thank you in advance. yes, dogs are allowed in the public areas and courts of the Castle District, however not allowed inside the buildings and attractions. Thank you for your understanding. the courts and yards of the Castle is free to visit. Do you have free tickets for journalist? I’m afraid there are no complimentary tickets for the attractions. Thank you for your understanding. Are the museums and the castle open on November 1st ? yes, both museums in the Buda Castle will be open on Nov 1. Can I change date of my visit to Budim Castle, if I already bought tickets online, and I have certain date of my visit tour. Thank you. we have contacted you via email regarding your tickets booked for Buda Castle in Budapest. Hi We are a group of 6 and we would like to visit the Buda Castle. We are thinking of having the tour of the castle,fisherman’s bastion and matthias church. Do we have to book the tour in advance or we can buy tickets for the tour on spot? Yes, advance booking is required, unfortunately drop-ins are not accepted on this tour. Thank you for your understanding. I’ve got the same doubts of many people. I need to get the official website only the Royal Palace. I’ve understand that the entrance is free but I would like to book the date and time to go into., so it’s necessary for me to get the official website. There will be queues gents in August. Can someone provide the possible tour hours for the Buda Castle? I am going on 25th March. Please can you tell me the dates of the 2016 Buda Castle Beer Festival? I’ve recently been told that the castle is applying some new restrictions to bus access. Can you confirm that of inform me about the current bus restrictions? Thank you very much. the Beer Festival will take place between the 2nd and 5th of June. Yes, the Castle area is open for everyone 24/7 (even though the Museums, etc. have fix opening hours, and the entries are usually not free), but if you would like to participate in an exciting guided tour, please do not hesitate to book one via the booking form.